Should Mumbai and Chennai be struck off the international cricket calendar? The events of Monday, October 19, in Mumbai took place at two levels. One was that of a mere political game, which was explained as the Shiv Sena trying to embarrass their national alliance partner, the BJP, which runs - in a manner of speaking - the current central government in India. The two parties also run the state government of Maharashtra, whose capital, Mumbai, was once also the spiritual home of Indian cricket. Cricket's ethos has, however, long since left that particular city. The happenings of Monday morning were carefully choreographed. The Shiv Sena party "workers" waited till the BCCI president, Shashank Manohar, got to his desk. News-television cameras accompanied the group, which charged into the office, surrounding Manohar and a few other officials. The news crews filmed 10 minutes of shouting and hectoring, waving of flags and banners, and sloganeering. Stuff for TV done, the Sena faithful left the BCCI office, being careful not to vandalise property. Within half an hour the news went all over the cricket world. The political job was done, the BJP was suitably embarrassed, and life moved on. 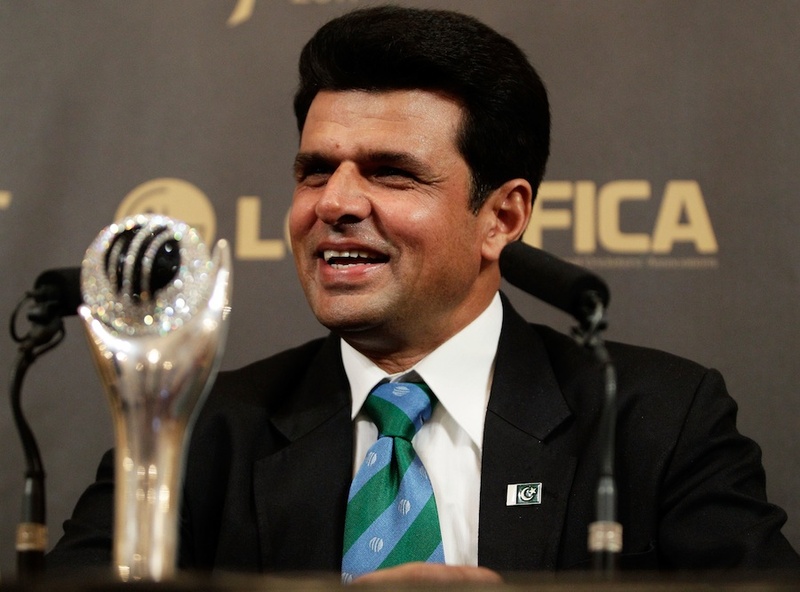 The second level kicked in a few hours later: the ICC first pulled out umpire Aleem Dar from the last two India-South Africa ODIs, stating that "a group of extremists… had threatened to prevent the umpire from standing in the fifth ODI on Sunday". Later that night, it was learnt that Wasim Akram and Shoaib Akhtar were planning to withdraw from their duties as commentators after the fourth ODI between India and South Africa in Chennai, and that they would not travel to Mumbai. The city, its government, its police and its cricket folk, seem either unwilling or unable to ensure that Pakistanis who have anything to do with cricket are able to move about freely in the city these days. There is a cruel coincidence that the final two ODIs of a bilateral series that has been fraught with problems are being held in cities that have shut their doors on cricket people from specific nations. Just like Mumbai, Chennai's grievances are politically driven and sporadically heightened. In early 2013, two Tamil groups protested against the presence of Sri Lankan umpire Kumara Dharmasena in an India v Australia Test, asking for him to be removed and deported. A few months later the Tamil Nadu chief minister wrote to the Indian prime minister asking for a ban on Sri Lankan cricketers in the IPL. The protests were against the treatment of ethnic Tamils by the Sri Lankan government, led by Mahinda Rajapaksa. First up, the Sri Lankan cricketers participating in the IPL stayed away. 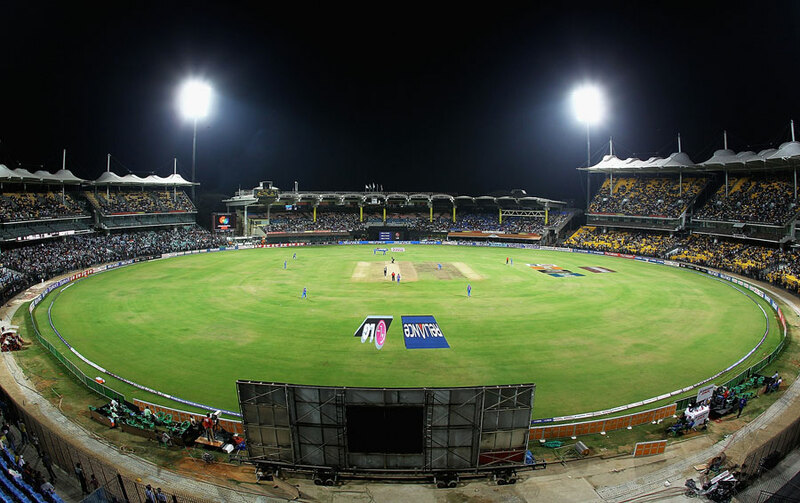 In 2014 no IPL match was held in Chennai. In August that year, an Under-15 Sri Lankan team taking part in the JM Haroon Ali India Under-15 National League Cricket Championship was asked to return home less than 48 hours after landing in Chennai. In neither city has the situation changed to any degree. Mumbai's position on cricket with Pakistan has been hijacked by the Shiv Sena since the early 1990s and has stayed that way. 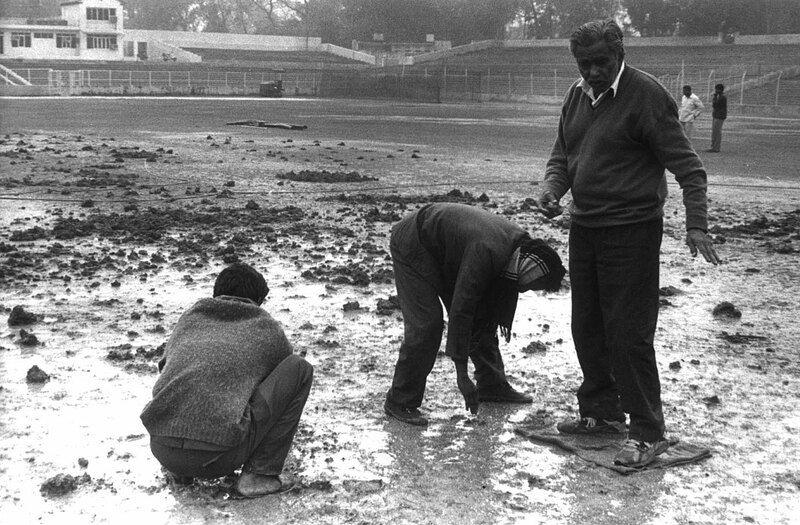 Ever since the Sena dug up the Wankhede Stadium pitch in October 1991 two days before an ODI series between India and Pakistan, the Pakistan team has travelled to India many times. They've played 32 matches all around the country, none in Mumbai. Mumbai's hardline position on zero Pakistani cricket presence within its municipal limits has now lasted 24 years. It has made little difference to the situation on the India-Pakistan border, neither raising nor lowering the diplomatic temperatures between the two countries. The neighbours bicker on the negotiation table, but they continue to do business, visas are issued on both sides, a good number of representatives from both countries cross borders and do their thing, without hectoring or flag-waving or sloganeering. All the Shiv Sena has achieved is to, time and again, make the city of Mumbai look graceless, and whichever government runs the state, ineffectual. The city's position on Pakistan is merely political bubblegum, chewed upon regularly and, every few years, violently. Like it was on Monday. What was disrupted was neither a match itself nor the prospect of a match nor an announcement that a match or a series was about to take place. It was a mere meeting, featuring zero cricketers. Chennai's outrage is far more recent. Mumbai's hate affair with Pakistan cricket should offer Chennai some indication of where rigid posturing can end up. The IPL's own stand doesn't help either. In 2015, Sri Lankan cricketers were kept away from Chennai because the IPL said they had been informed by "security agencies" that the Sri Lankans would be "at risk". This after the Rajapaksa government had been thrown out of office following elections in Sri Lanka. Indian cricket has often mistimed its actions over such "security" issues. In 2010, 11 Pakistanis who featured in the IPL auction did not participate, due to what were called "tactical decisions" on the outside. The backstory was different - a few days before the 2010 auction, team owners told reporters that they had been asked to "take it easy on the Pakistani players", which was staunchly denied by the IPL chief, Lalit Modi. Since 2010, no Pakistani has made it to the IPL auction list. Except Azhar Mahmood, who has turned out for Kings XI Punjab because he holds a UK passport. The logic is befuddling, but no one in the IPL has ever tried to contest it. Sticking to the status quo has brought Indian cricket to this position, where Mumbai has been turned into an unyielding fortress of hardline politics, with cricket as its currency, and Chennai is heading in the same direction. If a state government will not protect cricket at its doors, cricket ought to consider giving that state the cold shoulder. Surely India has enough cities and towns with international quality grounds that can offer better hospitality to all cricketers than Mumbai or Chennai feel like doing these days. In 2013, the ICC Women's World Cup, which was to be held in Mumbai, moved all Group B matches to Cuttack when there were threats against the Pakistani team. Indian cricket could respond to the refusal by Mumbai and Chennai to host the cricketers of Pakistan and Sri Lanka by spurning the two cities when it comes to international fixtures or fixtures featuring international stars. To start with, India is set to host the World T20 next year. Kolkata will stage the final, while the cities of Bengaluru, Chennai, Dharamsala, Mohali, Mumbai, Nagpur and New Delhi have been listed as venues. Striking Mumbai and Chennai off that list would make a statement. All or nothing. While it is extreme, so is Mumbai's position on Pakistani cricketers or Chennai's on Sri Lankans. "No normal sport in an abnormal society" was the strongest argument used to put pressure against the apartheid regime in South Africa through the 1980s. The 21st century is all about mobility of business and the power of global connectivity. So, in cities that selectively shut out sportspeople from any country, another argument should be made to hold: no normal sport in an abnormal environment.